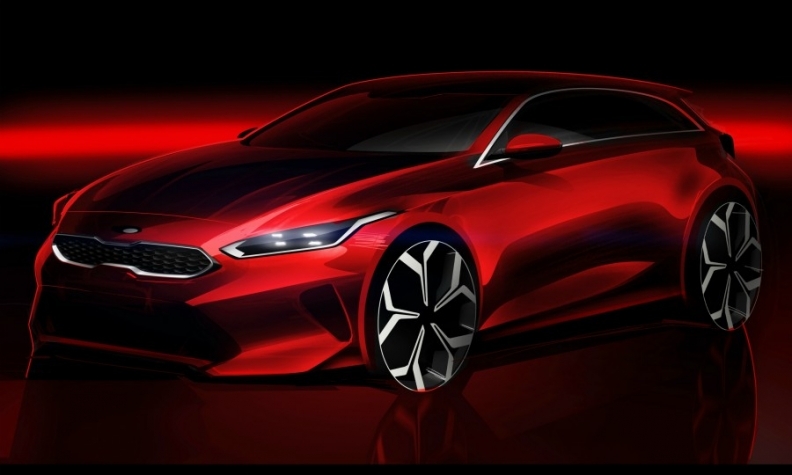 Kia released a sketch of the Ceed. It says the car's design was inspired by the fastback styling of the Stinger sports car, giving the Ceed a more self-confident look. Kia hopes new technologies, a "more self-confident" design and better driving dynamics will gives its new Ceed a boost in Europe's compact car segment against rivals such as the Volkswagen Golf and Ford Focus. Kia will debut the third-generation Ceed five-door hatchback at the Geneva auto show next month, alongside a station wagon variant. The new Ceed will be more refined and offer more driver appeal in terms of handling, Kia said in a statement. The new Ceed was designed at Kia’s studio in Frankfurt, Germany and will continue to be built in the automaker's plant in Zilina, Slovakia. The Ceed is Kia’s third best-selling model in Europe after the Rio subcompact and Sportage compact SUV. European sales of the Ceed fell 9.9 percent last year to 69,119, according to data from market analysts JATO Dynamics. The new Ceed will go on sale in the second quarter in European left-hand-drive markets across Europe. UK sales start later. Kia will release more details about the car, including its new technologies and engines at the Geneva show. Kia has dropped the three-door Ceed. "The compact segment is stable, but the market for three-door models is shrinking," a Kia spokesman said. Instead Kia will offer a sporty 'shooting brake' wagon version. A production version of that car is likely to appear at the Paris show later this year. It was previw by a concept at last year's Frankfurt show. Kia hasn’t said whether it will use the same Proceed name as the three-door. Kia’s approach is similar to that of sister company Hyundai, which dropped the thee-door version of its i30 model to offer a five-door fastback version with a longer, more sloping rear than the hatchback.